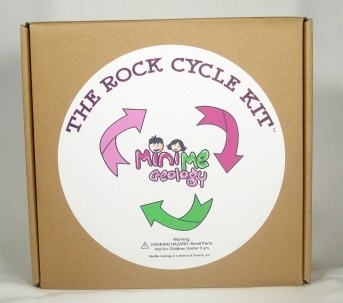 The Rock Cycle Kit™ is our newest kit. It has has 20 samples of rocks and minerals including five minerals, five igneous rocks, five metamorphic rocks and five sedimentary rocks. The kit also includes a CD PDF eBook with over 30 pages of information and activities about minerals, rocks and how the rock cycle affects our Earth. This kit is great for classrooms, home school and kids who are starting out in geology. You will have hours of fun with our Rock Cycle kit samples and eBook! The kit is appropriate for children of any age who can read. Get yours today. I do believe some other internet site entrepreneurs should take this site being an product — extremely neat and great style and design, not to mention this content. You’re an expert in this area!